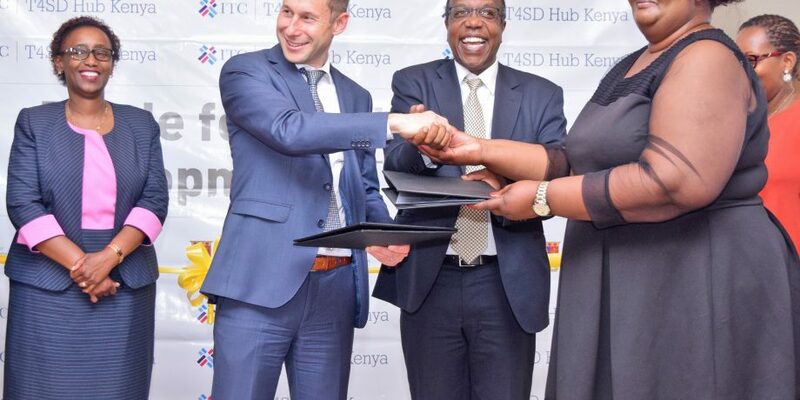 On April 4th, 2019, the International Trade Centre (ITC), the joint agency of the United Nations and the World Trade Organization partnered with Strathmore University Business School (SBS) and Kenya Climate and Innovation Center (KCIC) to launch The Trade for Sustainable Development (T4SD) Hub Kenya. In attendance was Joseph Wozniak, Head, Trade for Sustainable Development Programme, ITC, Mr. Edward Mungai, Chief Executive Officer, KCIC and Dr. George Ngenga, Executive Dean SBS. The T4SD Hub Kenya, will focus on how small and medium-sized enterprises (SMEs) can embrace and integrate sustainable business strategies into their daily operations to improve competitiveness and increase their participation in international value chains. The objective of the T4SD Hub Kenya is to provide the needed technical assistance to SMEs on increasingly important topics such as climate change adaptation, resource efficiency, circular economy, market access, voluntary sustainability standards and certification. The T4SD Kenya Hub will serve as a one-stop shop for SMEs to build sustainable business strategies around these issues to access international markets as well as green finance providers. In its first two years of operation, the programme will guide SMEs on pathways to integrate sustainable practices into their core business. 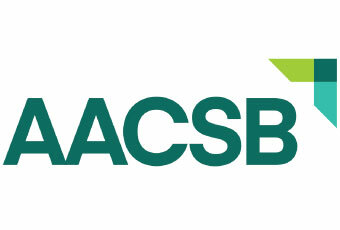 It will be implemented as a blended learning approach of e-learning and customized face-to-face coaching sessions that incorporate ITC’s existing tools and services covering sustainability standards, resource efficiency, positioning sustainable products in international markets and access to green finance. “Low prices are no longer the only drivers of consumption. Consumers increasingly want to know that products are made in a sustainable way” said Ms. Ruth Ndegwa, KCIC Corporate Services Director. Dr. Njenga, during his opening remarks at the launch said, “we need to develop programs that will strengthen our SME’s through knowledge & finance & the launch of the trade for sustainability HUB will play that role”. SBS and KCIC were selected following a competitive process to host the T4SD Hub in Kenya. They will work closely with ITC staff and sustainability experts to implement the various technical assistance work streams. The SMEs that become part of the Hub coaching programme in the first two years of operations (2019-2020) will be part of the piloting programme with strong support from ITC. After 2020, KCIC and SBS will carry on the Hub programme to mentor SMEs in establishing sustainability-driven export businesses. ITC is set to launch five other hubs in Ghana, Laos, Nepal, Peru and Viet Nam.